If your familiar with Emepic Graphic Design then you know I am very passionate about logo design and business branding, it’s an essential part to give you that head start to stand out of the crowd. Maintaining this professional image through easy to recognise branding is key to getting the clients calling! Your logo and other designed stationary should represent you and your business in a way that it can be easily seen as yours and the business you make. First impressions are essential for the success of any business and it’s definitely an investment worth making. Less is most of the time more! A logo that’s got simple lines and isn’t over-crowed allows for quick and easy recognition and allows the logo to be more adaptable and memorable for potential clients. Nike Logo – Simple Effective and most of all memorable. Similar to keeping it simple is memorability. To achieve this is to have a simple yet genre/business field appropriate logo. Selective colours that compliment each other can also make or break your brand. Shapes and colours help a person remember you and your brand. You don’t need the word McDonalds to know what these golden arches stand for! It’s hard to say today, that a logo designed now is something that will still look great in 30 years, In saying that though your logo should be adaptable and able to evolve keeping a similar look with a more in trend look. Ask yourself will it still be as effective and look good in 10, 20, 30+ years time? Your logo should be able to work across a range of mediums and different applications. The logo should be efficient it’s best to make sure when getting a logo designed you will be receiving it vector format, this ensures that it can be scaled to any size you need. Printed on the something the size of a postage stamp? Printed on something as large as a billboard? Printed in reverse (ie. light logo on dark background)? When I am creating a logo I get a brief from the client of what they have in mind for their brand ie: colours, feelings, fonts, inspiration and other ideas. To start off I sketch a few things and then I first design the logo in black and white this allows me to concentrate on the shape and impression of the logo in a simple form to make sure it’s going work with all the reasons I mentioned above. An interesting read about selections of colour and the emotions and sensations it brings out. Where you place and position a logo should be appropriate for its planned purpose. Who is your target audience and what feelings and emotions would you like to evoke on them? If your creating a logo for a corporate firm then you wouldn’t use the front Comic Sans because its not professional. Actually in-fact please don’t use Comic Sans EVER, it’s a pet hate of mine. It is also important to keep in mind that a logo doesn’t need to show what a business offers or is selling. For example do you know of any large Car manufactures that have a car in their logo? No. A logo is purely for identification and can even entice a client into finding out more about your company. I’d love to hear your feedback what do you think creates a good logo, comment below? Just remember great branding is an investment worth making! To talk to me your Brisbane based Graphic Designer about working with you to create a brand you will love, contact Emma on hello@emepic.com.au or 0437 216 742. How NOT to design a logo. One question I have always had a lot of clients ask me about is Copyright, whether you should register your work or not and basically where you stand and what your rights to the artwork, writing, creation or photos etc. As recently as last week I had a client come to me with Logo samples, they had paid to be done through a website you go on and choose a ‘designer’/persons profile to create you a logo for you at a negotiated price. These websites make it look like you are going to get a quality logo for a cheap price, and almost sound too good to be true. Which in this case this is exactly what happened. They proceeded to get the logo done up and paid around the same price I charge for a logo design but without the personal approach of knowing where your logo is coming from. They got the logo seemingly pretty happy with it until they saw the exact same image and exact same font on another logo very similar to their company. Very unhappy they were lucky enough to get their money back after complaining. They then came to my business asking for help to now re-design a new logo completely different to the first one. I am more than happy to help and glad they have come to a real business like mine! Somewhere they know who is working on their logo and know they’ll end up getting a unique logo and brand that no-one else has and they can proudly promote as their own. First impressions are essential for the success of any business and it’s definitely an investment worth making. And an investment worth researching who your going to get to design or develop your brand. It’s very important to maintain a professional image through consistent easy to recognise branding. Emepic takes the hassle out of design by providing a complete graphic design service with a professional, unique and friendly approach. Emepic Graphic Design and Photography is based in Brisbane and services as wide as Central Queensland right down to Melbourne and Bendigo in Victoria. Most design work can be done over phone, skype and emails making the process smooth and hassle free. Several types of intellectual property rule the graphics design world. There are differences here that are essential to know for interactions with clients as well as for protecting your ideas and creative work. The two most important IP rights for graphics designers are copyrights and trademarks. Copyright. A copyright protects any completed graphic element whether registered or not. Even though you have the option to register, it’s always a good idea to, at least, keep detailed records of the work you’ve created. This way there is evidence that you are the original author and that can form a solid legal defense should you need it. Copyright gives the original creator certain very valuable exclusive rights such as the right to reproduce the work, publish the work, make adaptations and communicate the work to the public. 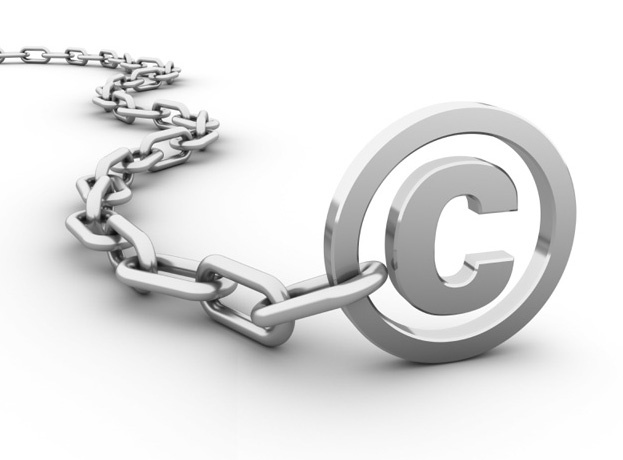 Legal protection of a copyrighted works lasts for the life of the creator, plus 70 years. Trademarks. Trademarks cover a broad range of design elements, including logos and product shape and design, and even sounds. These are brand marks that give a particular product or service a distinct identity or help consumers distinguish between various products or services. Where copyright ownership arises from authorship or original creation, trademark ownership arises from use in the marketplace. With trademarks, it’s not the so much originality that’s protected, it’s the distinct identity of the brand. As with copyrights, it’s not required to register a trademark, but registration does grant the best and most complete protection. Registration, however does require a trademarks clearance search to ensure that you are not attempting to register a mark that is already in use or that would likely confuse consumers due to it’s similarity to another company’s mark. Again, the protection here stems from how the mark operates as an identifier of goods or services, so the likelihood of consumer confusion, or lack thereof, is extremely important. To provide notice about the legal standing of a mark, registered marks use the circle R symbol, ®, and unregistered marks use the ™ symbol. Have you ever had someone ask you for your logo file and totally confused about which file to give them? Attached is a document which I hope will help you understand these a little better, and help you make the right choice when supplying your Logo and Branding material to printers, marketing firms etc.